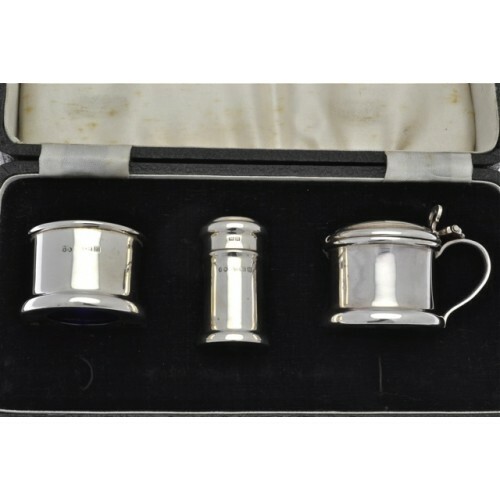 Silver three piece cruet set. 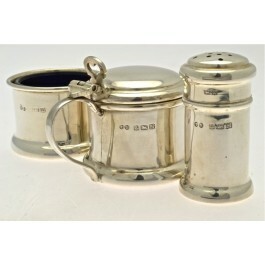 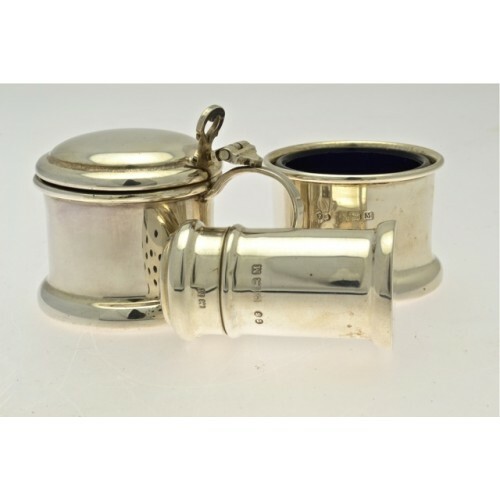 Silver three piece cruet set, dated 1936, Birmingham hallmarked. 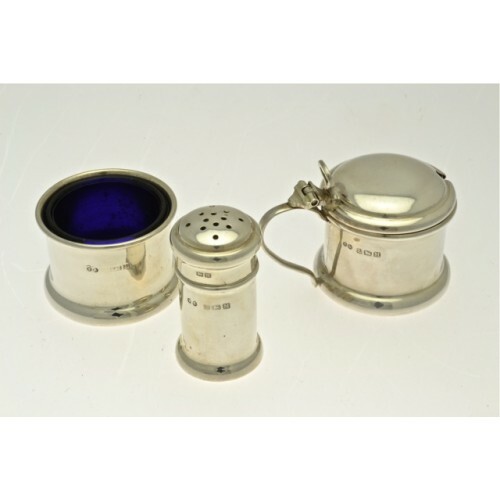 Very plain cylindrical shaped, comprising a mustard pot, pepper pot and salt, cased.